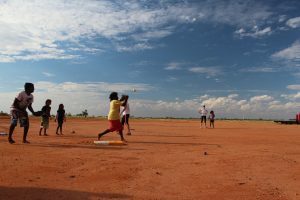 Measuring the outcomes of services delivered in remote communities is often “too hard”. The literature identified few organisations had successfully measured outcomes on such a broad front. How could the organisation demonstrate that it is having an impact? The brief was to develop a program evaluation framework that was meaningful, measurable and manageable. Our first step was to conduct a series of interviews with Fair Game’s executive team to better understand the organisation’s processes. We undertook in-depth interviews with key stakeholders including program recipients, funders, members of the Fair Game team and community representatives. Stakeholders provided an understanding of their experiences and expectations of Fair Game’s processes. Partner and peer organisations contributed to the process by sharing their experiences of program evaluation. The qualitative process gathered suggestions for output measures that indicated progress toward the intended short, medium and long-term outcomes. Workshops with Fair Game volunteers were integral to the process, identifying what was and wasn’t practical to measure. a measurement framework currently being piloted by Fair Game teams. 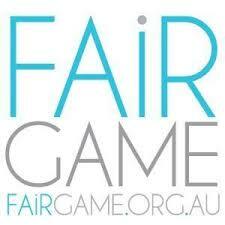 Fair Game and Research Solutions have committed to reviewing the framework post pilot.